As I think back to this past year I'm filled with mixed emotions. This year has been one of the hardest for me in a long time. It was filled with much joy, but also a lot of difficult days. When I think about 2009 one word specifically comes to mind: sleep (and a lack of it). 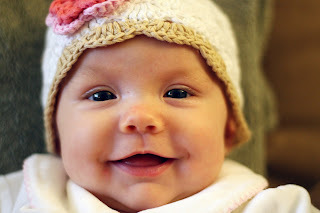 The year started with a pregnancy, which gave us much joy and excitement. It also left me feeling sick pretty much 24-7. On top of feeling sick I had to care for Ethan, who was at his most difficult stage ever (13-18 months). The days were long during this time, but I was still excited that we were adding onto our family. We spent the day after Christmas, also known as "Boxing Day" in the UK, with the Flores family. It seems to have become a tradition since we did the same thing last year. We had such a wonderful day hanging out and relaxing. We were there from 10am until 10pm! It's amazing how time flies when you are busy caring for newborns, chasing after toddlers, eating, relaxing, and just having fun with friends. The boys exchanged gifts. Ethan LOVED the cool car ramp Christian gave him. Matt made some very yummy ollie bollen. Ollie bollen is a delicious Dutch treat that is kind of similar to donut holes, but way better. 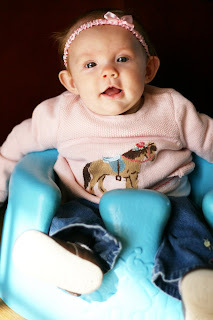 We got the Bumbo down for Alayna to use. She loves it. All of the sudden she can "sit up" and see what's going on. Ethan likes to hand her toys and she loves to watch all the action. It's nice to have one more place I can set her when I'm trying to do something. I've been meaning to post these pictures from a couple of weeks ago. 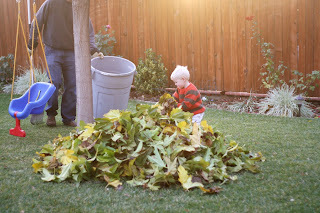 Ethan LOVES to help Matt clean up the leaves. We have an endless amount of leaves for a couple of months in the fall/winter, so there is definitely no shortage of them! Ahhhhh, I just love pictures of them sleeping.... it's so sweet. She was sleeping on my lap right here. Christmas was so much fun this year. 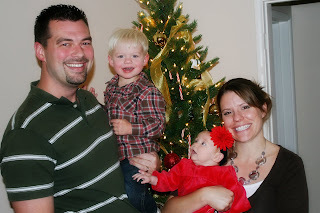 This was the first year Ethan really started to understand what Christmas is about. He was all about opening his presents and playing with his fun new toys. It was so much fun to see his face light up and to watch his excitement. I have to say, having a little one around makes Christmas way more fun. We had my mom and brother over on Christmas Eve. We ate appetizers and opened gifts. After we put Ethan to bed we played Apples to Apples (one of the gifts Matt got me).